The RAM Locking Knob by includes a brass 1/4"-20 thread, for 1" (B size) socket arms; this allowing you to disengage the screwing of the knob. 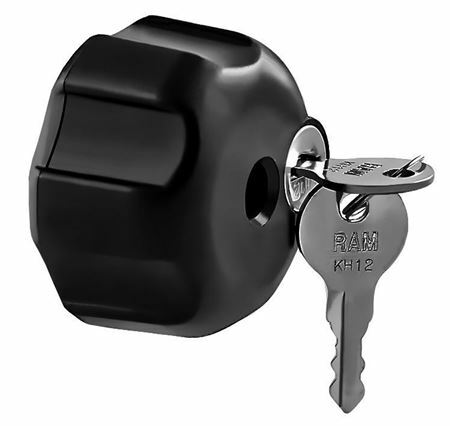 The RAM Locking Knob by RAM Mount includes a brass 1/4"-20 thread, for 1" (B size) socket arms; this allowing you to disengage the screwing of the knob. Once you have set your mount in the location you need, you can lock it in place and feel safe that your mounted device will stay right where you left it.